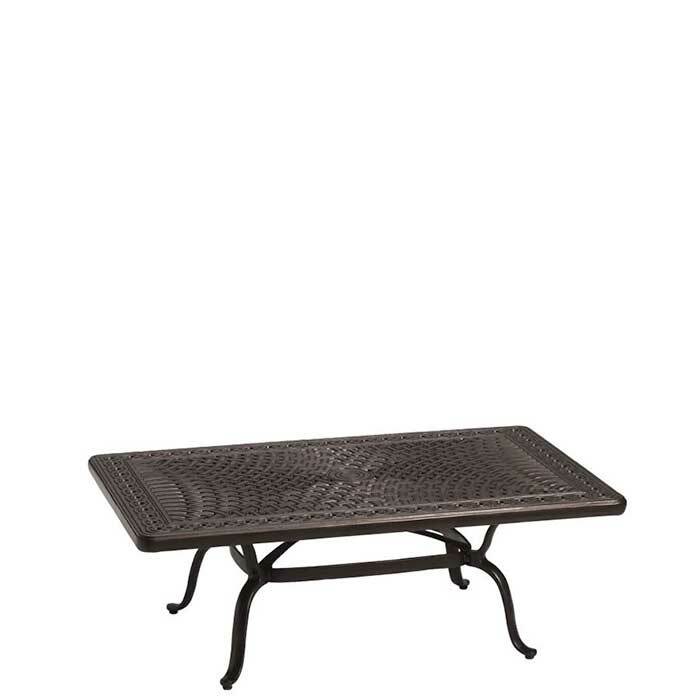 This custom-crafted, hand-cast aluminum rectangular coffee table adds elegance to any outdoor setting. Pair this outdoor table with Tropitone® sofas and lounge chairs for a patio furniture solution that is both gracious and highly functional. Featuring the exclusive Garden Terrace design, this Rectangular Cast Aluminum Coffee Table is the best-looking, toughest coffee table around.